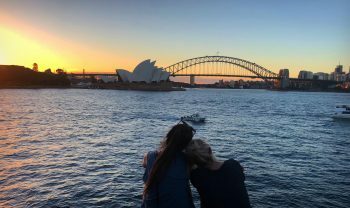 A Well-Rounded Adventure Interning from D.C. to Australia with the Sydney Internship and Study Abroad Program. I am taking full advantage of what W&L’s Sydney Internship and Study Abroad Program has to offer. I began the journey working for Ernst & Young (EY) in Washington, D.C. Working in D.C. was an incredible experience. I learned such valuable auditing tools and was given a great perspective on what a career in audit would look like. I made amazing friendships and connections with members of the EY team, to the point where we still keep in touch. I spent my weeknights and weekends exploring both Arlington and D.C. with friends from EY and W&L alums. One of my favorite activities included simply walking around U Street or the Mall. Leaving D.C. was hard, as I could not have imagined a better experience. However, it was on to Australia for the next adventure! Studying at University of Sydney has been a unique and interesting experience. The campus is gorgeous (besides one of my tutorials that is held in some sketchy basement). The weather has been beautiful, even the winter (if you count 60 degrees as winter–which I do, being from LA). It has been interesting to be in larger classes and has made me appreciate the education that W&L offers. My favorite class by far has been Australian Sports Culture. We take field trips to sports games and then write interesting and relatively short essays on the experience. Thanks to the class, I am now a big fan of the AFL and the Sydney Swans, and I plan on catching another game before my time here ends. On top of taking three classes, I am also interning with Medtronic in their finance department. I was given some difficult tasks that challenged me like I had never been challenged before. I first had to compile an approved supplier list. For Medtronic vendors to be on the list, they had to provide price listings/rate sheets and then expiration dates for those prices. This task required a lot of phone calls and emails, which posed an interesting challenge as I attempted to figure out how to converse with suppliers from Australia, New Zealand, Great Britain and Germany. My next task dealt with payment terms. I had to reach out to vendors and convince them to extend their payment terms. This was incredibly challenging and tested my ability to deal with people in sensitive situations. I was relatively successful though, which was quite the confidence boost. The internship was a great experience that taught me valuable skills that will apply to my future career. However, the internship supported my decision to accept a job with EY. My time in Sydney has allowed me many opportunities to travel. 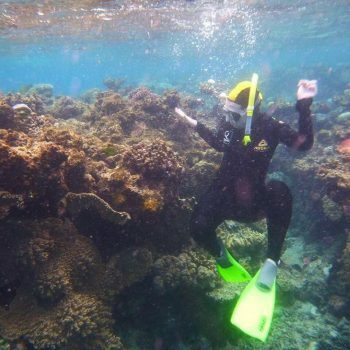 Right off the bat, the W&L group went to Cairns and saw the Great Barrier Reef, which was such a surreal experience. I also was able to hold a koala on that trip–something that is only allowed in Queensland! Over spring break, me and another W&L student in a different program traveled to the South Island of New Zealand for another incredible experience. We rented a car and drove all over the South Island, seeing Mt. Cook, Lake Tekapo, Milford Sound, Lake Wanaka, Queenstown, the Franz Josef Glacier, and many other things. It was probably the most incredible and beautiful trip I have ever been on. Sydney itself has offered a large array of activities to participate in. One of my favorite things to do is walk through the Botanical Gardens near sunset, and then watch the sunset from Mrs. Macquarie’s chair. You see the sun set behind the Opera House and the Harbour Bridge. Another activity that I love is grabbing dinner at Spice Alley and then gelato at Anita’s after! The surrounding area is a cute place to hang out with friends and enjoy delicious food. The nightlife in Sydney offers a great opportunity to meet other abroad students in a variety of fun ways. I’ve gone to Silent Disco, $1 Hot Dog Eating, to live music and Karaoke nights among other things. All the beaches are gorgeous as well. My favorite beach was probably Camp Cove, which is up near Watson’s Bay. The waves are more calm and there is a lot of marine life there! I also really liked the Mahon Pools, a pool with waves that crash inside and create waterfalls throughout the surrounding rocks. However, Bondi and Manly are the two I’ve gone to the most and both are incredible and lively and remind me a lot of some of the SoCal Beaches that I grew up around. Now that the weather is cooler, I’ve turned to coastal walks instead. The Coogee to Bondi walk is gorgeous, as is the Spit to Manly. There are still a few more walks I’m trying to fit in before my time here ends. Sydney has been an incredible experience and I wouldn’t change it for anything. During the last two weeks, I intend on jam-packing new activities, as well as visiting my favorite spots one last time. I highly recommend this program to everyone. Do the internship in January/February and then have another internship in Sydney! It will create a well-rounded experience and be an adventure you will never forget.